Long time again. It’s the standard excuse for this I’m afraid – real life. Work has been the main culprit, I often leave for work in the morning feeling envigorated and looking forward to painting in the evening only to return 11 hours later drained and unenthused about picking up a paint brush. I’ve tried to negate this by buying a couple of new RPGs hoping that I could at least learn some new games for my gaming group but tiredness has meant I’ve only skimmed these books too. Hopefully things will ease up sooner rather than later and I’ll get back on track. It’s not all doom and gloom though, I have managed to paint a few items since my last post. 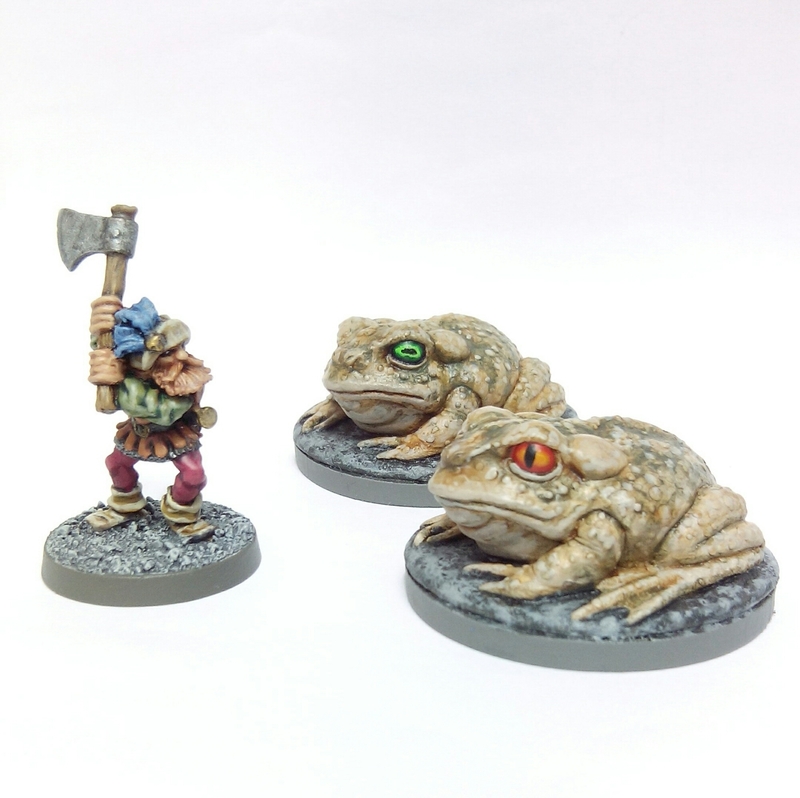 So, Ice Toads for Frostgrave. 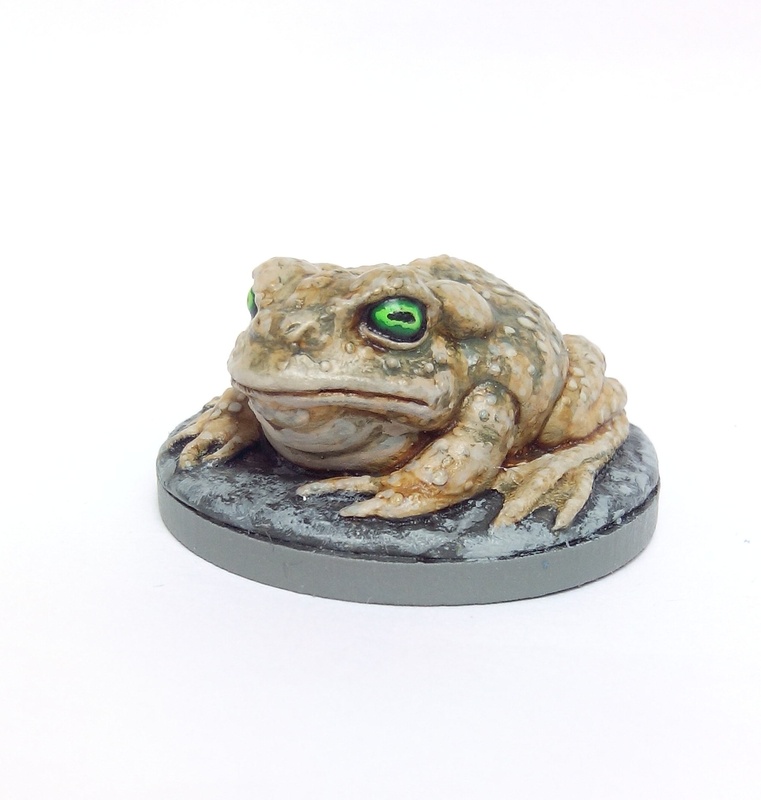 I wasn’t too keen on the ‘official’ Ice Toad figure so looked around for alternatives. Not suprisingly there’s not a great deal out there. 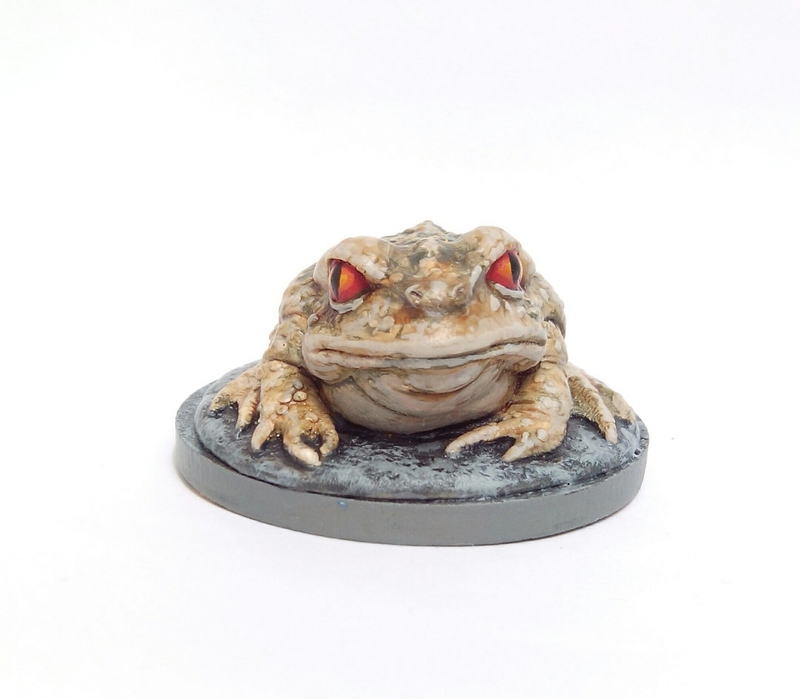 I’m guessing over the years of RPGs and Tabletop Miniature Gaming not many GMs have pitted Giant Toads against their PCs and obviously that’s reflected in model choice. 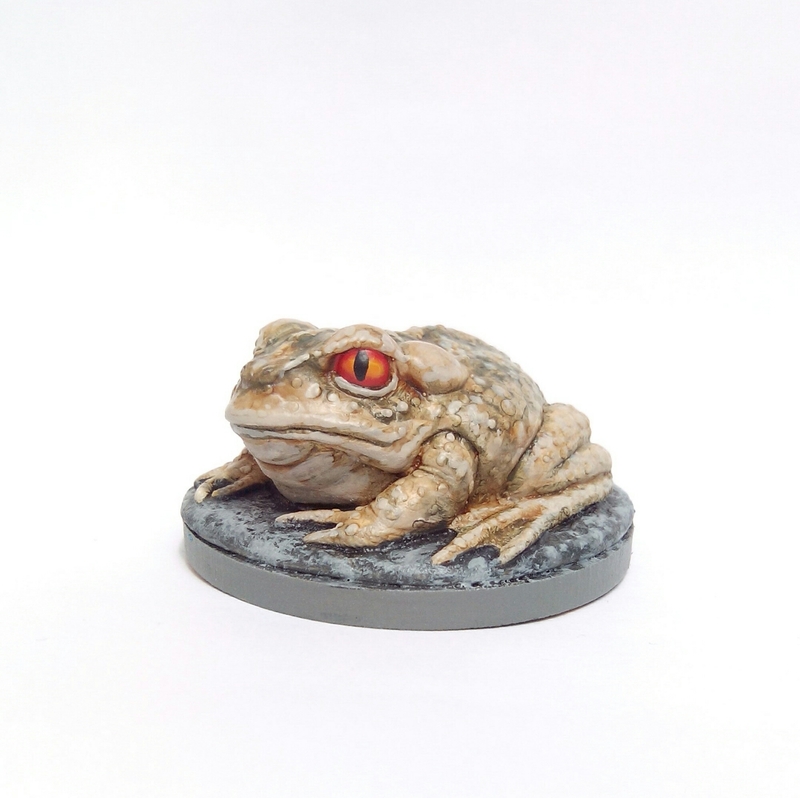 I think we can all agree the Giant Toad is not, and probably never will be, the new Goblin… With this lack of miniature support I considered a couple of options. 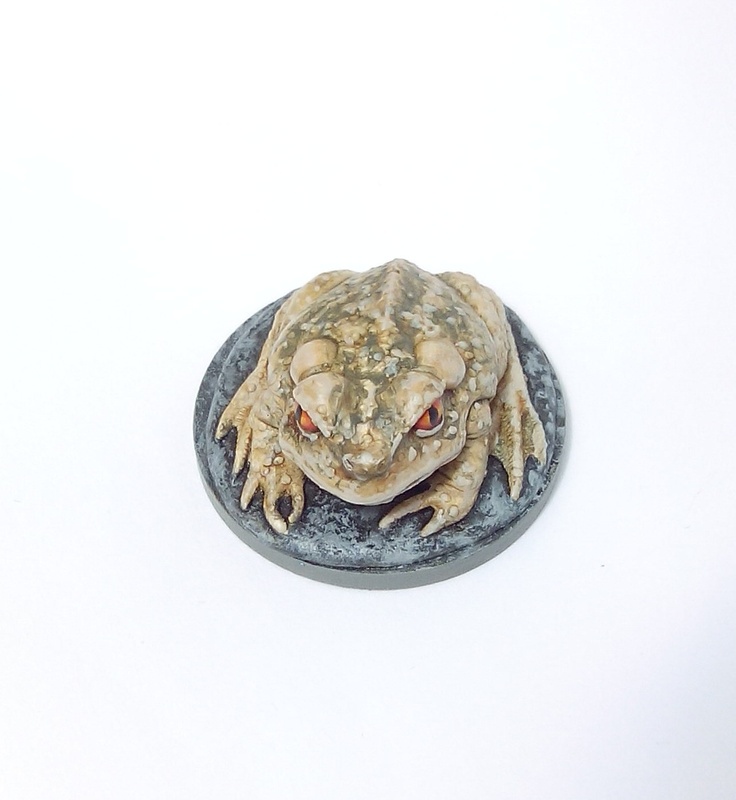 The first option was the old Citadel Talisman Toad figure. This was available in various forms including a standard ‘plain toad’ version which I used to own so knew how it looked. 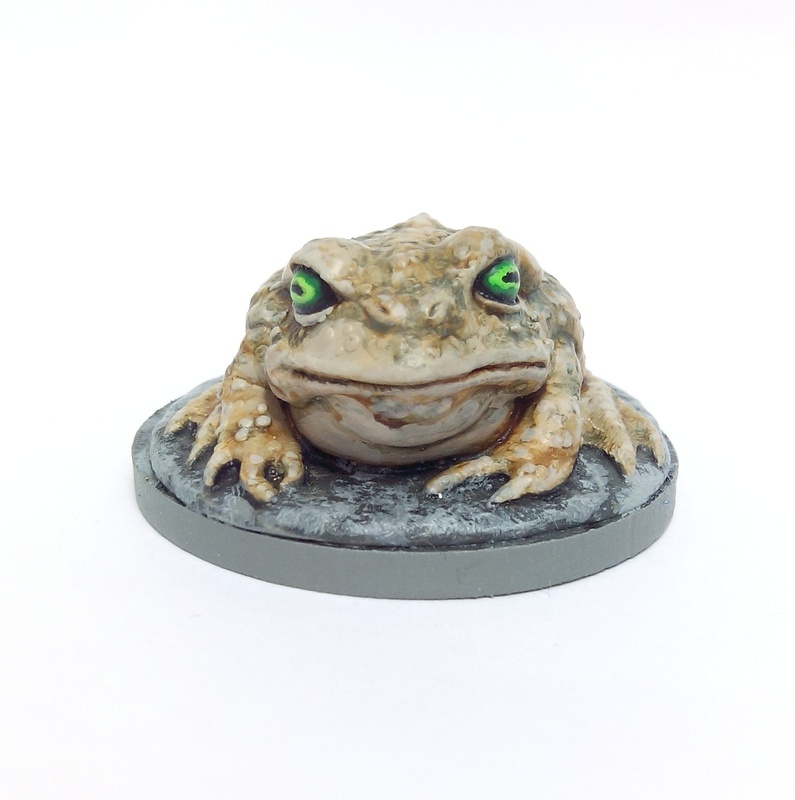 I decided against it on the grounds of size and price – they fit on a 25mm base so don’t really look imposing enough and they’re rarely a bargain on eBay. The other option was to use cheap plastic kids toys from China. Again this wasn’t ideal as the soft material these tend to be made out of doesn’t usually offer crisp enough detail or a decent surface to paint. Whilst deliberating on all this I spotted these resin models on eBay so snapped a couple up instead. I have no idea who the manufacturer is*. 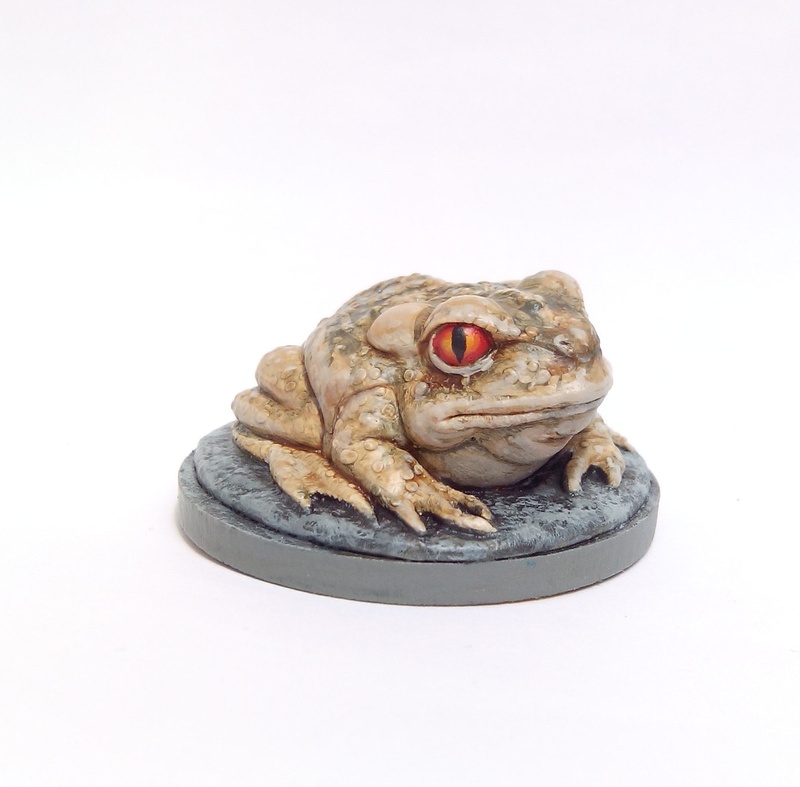 I considered giving them an “icy look” but decided on more traditional toad colours. I think they work okay. 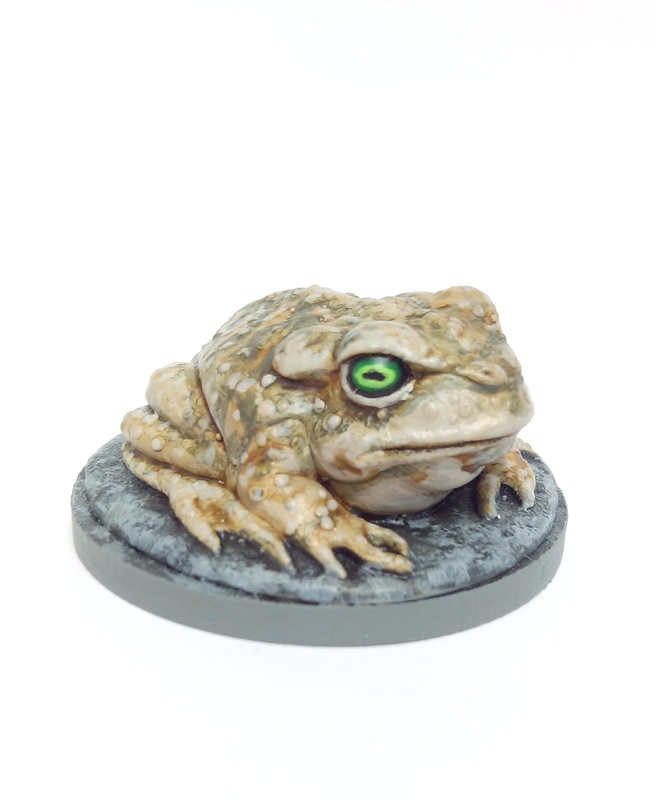 This entry was posted in Post-1990 and tagged Frostgrave, Ice Toad on May 30, 2016 by Hobgoblin Orange.